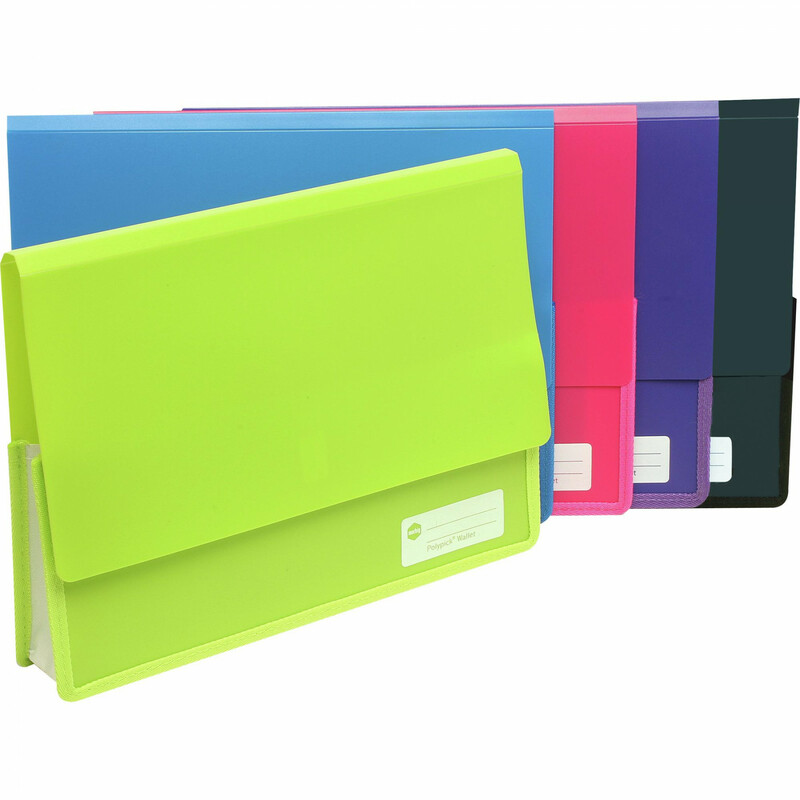 Durable and tear resistant A4 document wallet with fabric trim. Features a 45mm fabric gusset and secure touch fastener. Write-on ID panel on the front allows for easy identification of contents. Made from recyclable, durable polypropylene material.